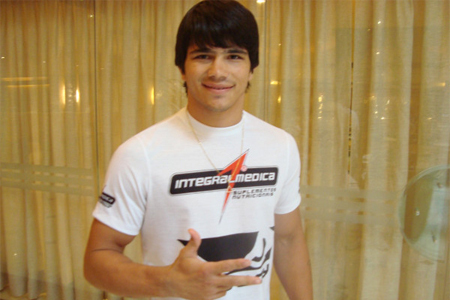 Unfortunately for welterweight Erick Silva (Pictured), the only man with the power to overturn his highly-controversial disqualification loss to Carlo Prater at UFC 142 has upheld referee Mario Yamasaki’s on-the-spot decision. On Thursday night, UFC vice president of government and regulatory affairs Marc Ratner issued a statement explaining how he reached his verdict. “Based on the referee’s verbal warnings and his determination that the blows were intentional and a disqualifying foul, this is not the type of decision that can be reviewed,” Ratner expressed. “Therefore, the decision stands. Recently, Zuffa has decided to implement the use of instant replay at all international events that are self-regulated, and to encourage all regulators to consider the feasibility and effectiveness of instant replay in the sport of MMA. In the opening ticks of their 170-pound affair, Silva managed to fold Prater over with a knee to the midsection before laying the lumber on his dazed opponent. When Yamasaki pulled Silva off of Prater, the Brazilian immediately began his victory celebration. Seconds before Bruce Buffer was to confirm the verdict over the speaker system, Yamasaki alerted the UFC announcer that Silva had been disqualified for hitting Prater with illegal shots to the back of the head during his assault. Although Silva was handed his first loss since December of 2006, the night wasn’t a complete disaster for the up-and-comer. Octagon officials awarded Silva with his ‘win bonus’ despite the DQ defeat. UFC president Dana White also said they would move Silva up the welterweight ladder as if he was victorious.